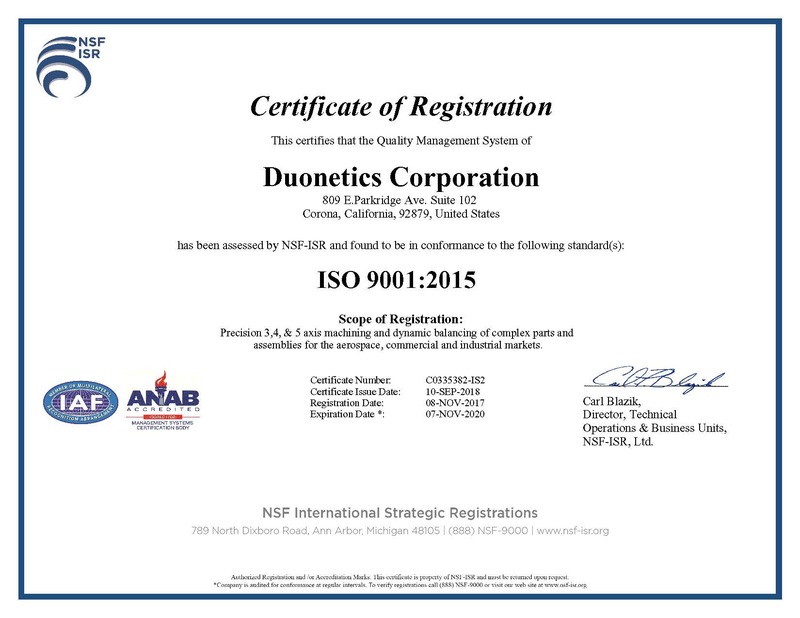 Duonetics’ continuous improvement policy drives us toward a zero defect quality record. Our AS9100 Rev. C QMS policy controls every aspect of production from quotation to finished product. Our inspection laboratory is managed by strict control of the inspection process including every inspection gage and measuring tool used for production to insure 100% dimensional and contractual compliance. As a result our lab is climatically controlled, all gages are calibrated and NIST traceable. Our inventory of tools and gaging is extensive and well maintained. 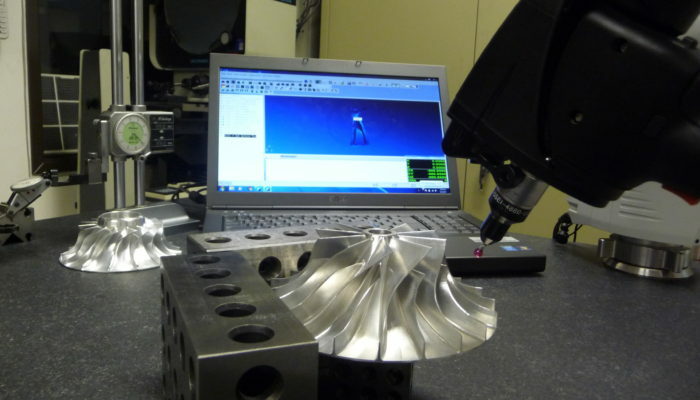 We utilize a Starrett CMM and a portable laser scanning Romer Arm, all calibrated to AS9100 requirements. 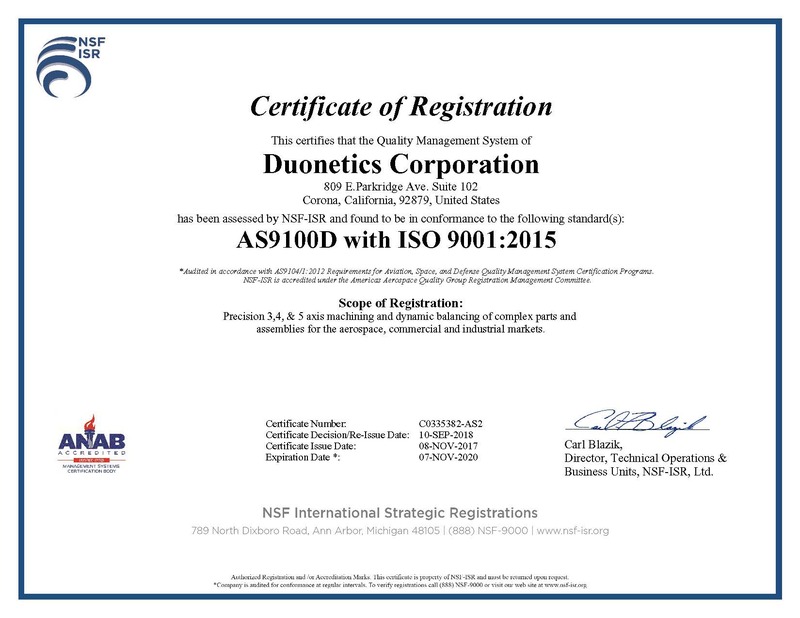 Duonetics has an incredibly low defect record with our many customers. Most of the parts we machine are extremely high value components, scrap is rare as a result of our inspection equipment and practices. We take quality seriously and it shows, our customers know our reputation for quality and they keep coming back for good reason.